War and Magic is a somewhat new game, released just over a year ago. 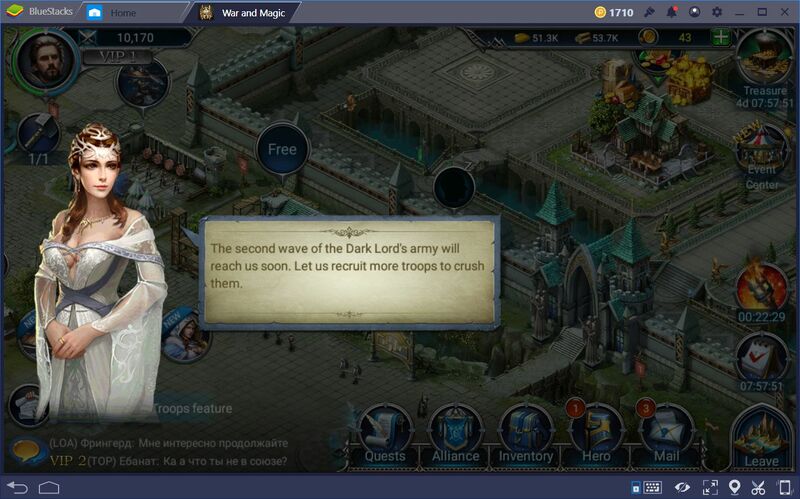 It is a mobile MMO where players can get together and pool their efforts to create vast empires and alliances. It is also where loners can go to amass their own strengths and take the world for themselves which, while positively difficult, is not impossible. Those who are familiar with the old RPGs will find that this game shares striking similarities with other famous games in the genre. 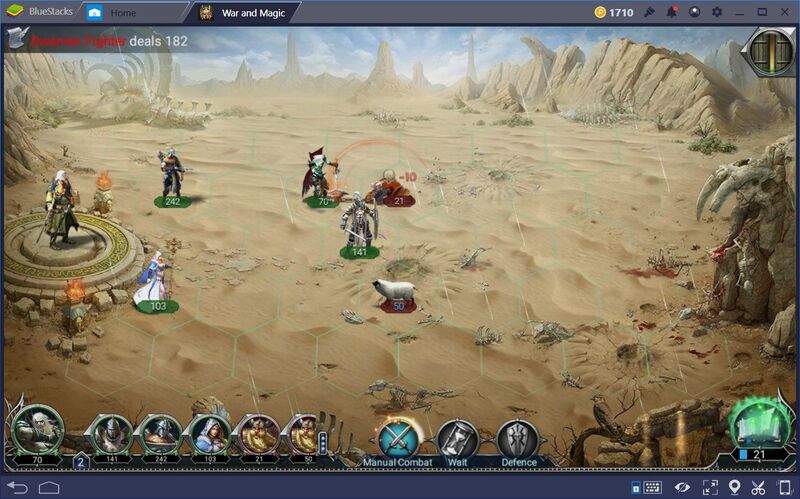 Specifically, the art style and, most importantly, the combat, is very reminiscent of the one found in the Heroes of Might & Magic series, with its turn-based combat, hexagonal grid movement style, and the strength of your soldiers being measured in terms of numbers of units in a stack, instead of the individual attributes of each creature. If you like and still enjoy the traditional RPG gameplay of the aforementioned game, then it’s very possible that you’ll find enjoyment in War and Magic as well. However, as a game that is not natively in English since both the developer and publisher are Chinese, the English port is somewhat lacking in quality and could cause confusion among the newer players. Furthermore, since the game is still relatively new, there is a distinct lack of information on the web on it. With that being said, we have created this brief, yet handy guide, so that new players can get their bearings from the very beginning, and make steady progress towards creating a great empire. 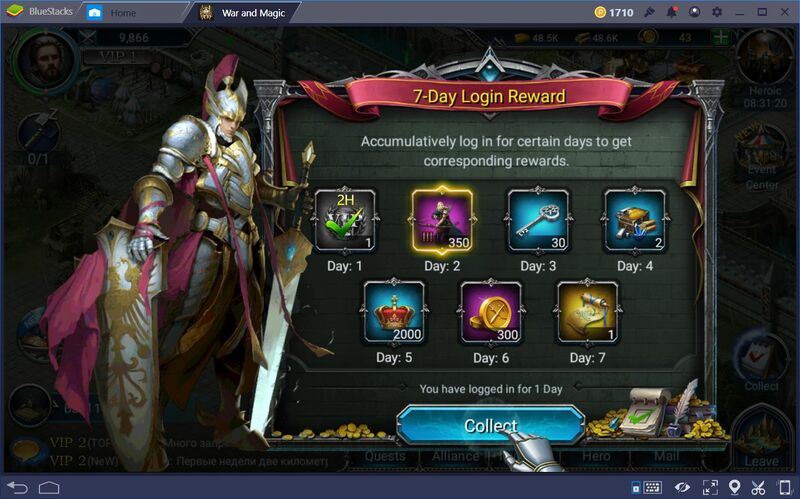 Like with most games, War and Magic offers rewards for logging into the game on a daily basis. Use this to your advantage by launching the app everyday, even in those occasions where you won’t have time to actually play the game, in order to reap these awesome rewards. Despite having a somewhat poor translation job, the in-game missions, just like the ones from other conquest games, can help you get started in creating a self-sufficient kingdom by constructing all the necessary buildings, such as a farm, a sawmill, and a hospital. Furthermore, they will also get your army started by asking you to train a number of guards, which is your most basic melee unit. As you progress through the early story missions, you will eventually come under attack by the Dark Lord’s forces, for which you will have to make the necessary preparations and build your army to defend against the incoming assault. This means that you’ll be prompted to upgrade your military buildings and even create certain units to bolster your army. Luckily, before the first siege arrives at your gates, you will have some time to recruit some extra units and prepare for battle. If you followed the missions to a T, you will have some additional guards, crossbowmen, and priestesses to add to the ones you had from the start. The first battles are not very difficult, nor are they particularly engaging. In fact, the tutorial even prompts you to activate auto-battle to “avoid clicking too much,” which sort of defeats the purpose of micromanaging your army. Nevertheless, in the beginning, fights are somewhat slow and can drag on for too long since neither side is particularly strong. In this sense, these fights usually consist of melee units inching closer to poke the enemy with their swords, ranged units pelting the enemy with arrows, and the heroes using a skill or two. With that being said, expect to use auto-battle a lot in the first few battles. 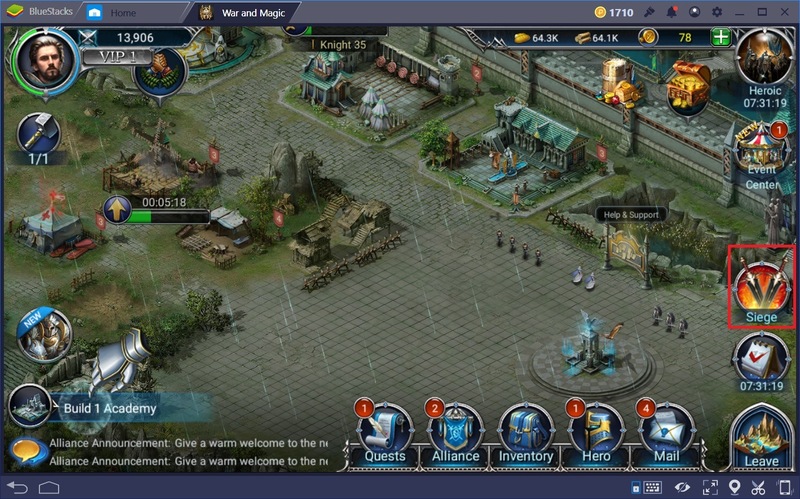 In this game, just like in the games of the Heroes of Might & Magic series, the strength of your army is not only represented by the individual attributes of each soldier, which is, in turn, represented by a small unit fighting in your army during battle. Instead, each “stack” in your army is intended to represent a platoon or a group of units. The number below each unit in battle is not representative of their HP like most would believe at first; they are meant to represent the number of units in the said platoon, and which goes down every time the stack takes more damage than the individual HP of each unit. In order to elaborate, let’s make an example. The guard, which is your most basic melee unit, has an individual HP of 27, with a base attack value of 4-4 points of damage per hit. 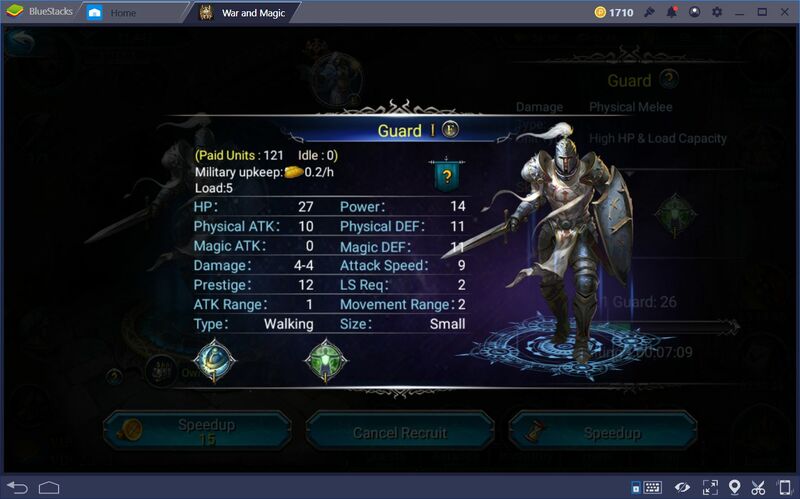 This means that, if you have a stack of 100 guards, this unit will do 400-400 points of damage per hit, without accounting for enemy defenses. Furthermore, if your stack takes more than 27 points of damage from a hit, at least one of your guards will be killed, and the respective number will be subtracted from your stack. In this sense, while having large stacks can definitely increase the damage they do per attack, it does nothing to improve their defense, as the same number of units will be killed, regardless of the size of the stack, as long as they receive enough damage. This leads to interesting scenarios where you might be better off splitting your stacks into several smaller stacks to overwhelm your enemies, or where you must gather your forces into a single stack to go up against strong opponents. In this game, you’ll have to carefully assess each situation in order to make the best decisions for each battle. Every so often, during the tutorial, you will come under assault by enemy forces. These sieges are represented by your screen flickering red when they are at your gates, and an icon appearing to the right of your screen. However, while the visual effects might represent urgency, we found that we could actually take it easy when the enemy was attacking and finish our current projects. In this sense, if you are training several units, which will be ready in a few minutes, but the enemy is already at your gates, feel free to wait the time necessary to finish training your units. We found that there’s no sense of urgency here, and the enemy waits patiently outside until you’re ready to battle. As you follow the missions given to you by the tutorial, you will end up with fine starter city, which is a good foundation for your future kingdom to sit upon. However, keep in mind that, while individual military prowess is definitely attainable in this game, true strength is in numbers. 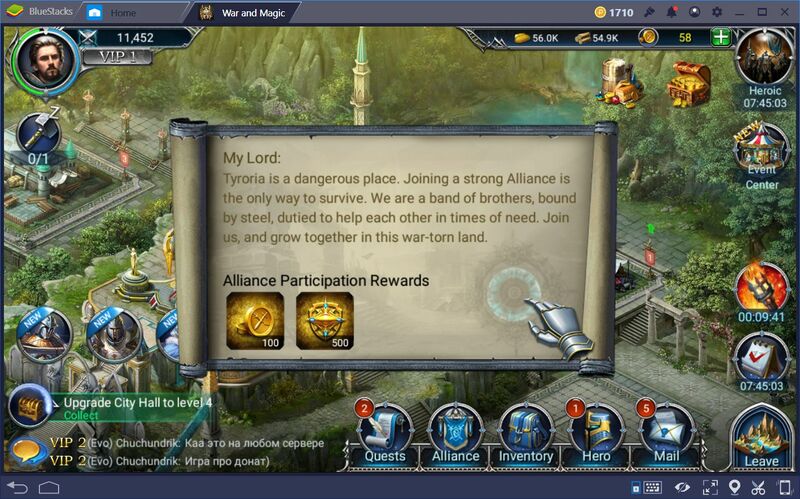 In this sense, make sure to join an alliance as soon as possible so you can make friends and allies that will assist you in your quest to become the best player.